We didn’t do a ton of research to plan our honeymoon. All we really had in mind was: A) somewhere in Mexico where we won’t find a bunch of other American tourists, and B) ideally somewhere that Jessica (who has been to Mexico many times) hadn’t yet been. So within about 15 minutes of random Googling, we discover this delightful tongue-twister of a town called Guanajuato. An image search reveals fancy colonial architecture, colorful buildings, and some pretty looking hills. Good enough. Done and done. We book the trip and aside from the occasional daydream about tacos, I don’t give much thought to it. 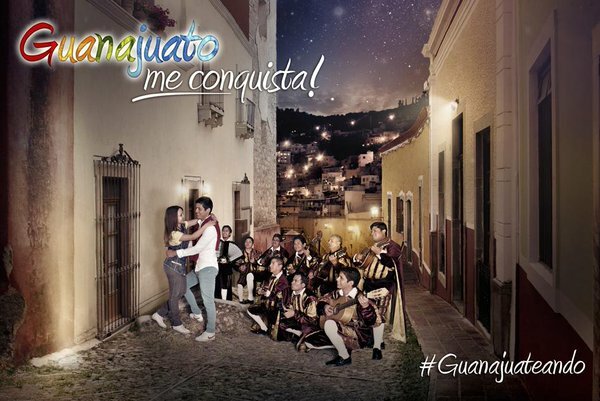 So imagine our shock when we land in the center of Guanajuato and find an entire city engaged in a Saturday fiesta replete with troubadours in 17th century get-ups. Seriously. If we had spent maybe 5 minutes more Googling the town, we almost certainly would’ve learned about the crazy troubadour thing. This image was all over the tourist information. How never saw it, I have no idea. But accidentally finding yourself in an old-timey throwdown? That’s the sort of travel experience that approaches magic; the kind of thing you remember fondly 40 years from now. So it’s in this beautiful, serendipitous, newly-wedded glow that I present this story about my shoelaces. 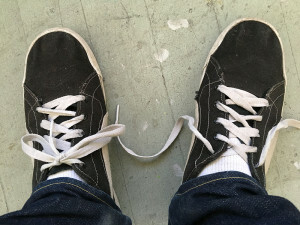 For some reason, my shoelaces are constantly untying themselves. Anytime I walk, I’m constantly looking to ascertain the status of my laces. Are they snug enough? Too snug? Is there a hint of unravel there? Do I need to do a re-tie now, so I don’t have to stoop down in the middle of the hallway or while I’m carrying a bunch of stuff? It’s a shoelace tying battle royale, and (unsurprisingly) I lose within the hour. I’m flabbergasted. With just a tiny change in the way she tied my laces, my wife saved me an unreal amount of frustration. Over the course of my life, I maybe got back days of my life that would otherwise be spent stooped over in hallways. It strikes me that my initial response to being challenged over my lace tying skills was defensive, despite my awareness that Jessica is a crocheting machine who understands knots and loops at a level I’ll never even begin to approach. But despite my reservations, it took me almost no time at all to warm up to Jessica’s technique once I saw its clear superiority – the evidence, quite literally, at my feet. Our traditional view of learning is that it is a process of absorbing new information. We study, we read up, we engage with this new thing. But being able to unlearn something – seeing that your own understanding of the world is somehow flawed, might be even more important. It’s not easy admitting you’re wrong, even to yourself. Unfortunately, with the exception of the last one, these things tend to be pretty rare. But given the current state of my shoelaces, I think it’s something worth seeking out.